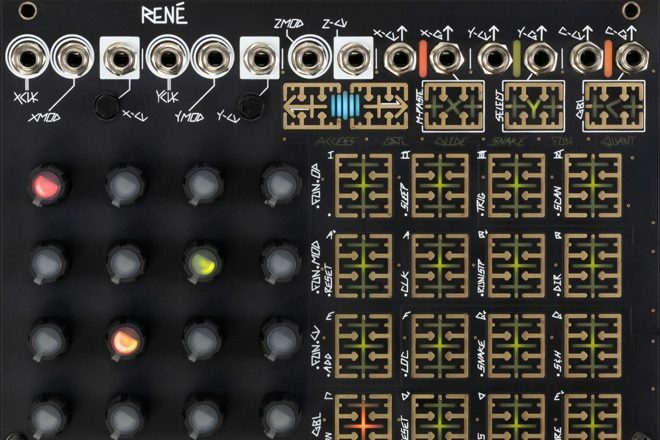 Eurorack company Make Noise is releasing a new version of the René sequencer. The world's only 3D Cartesian Music Sequencer, features include three CV outputs for controlling pitch, three Gate outputs for generating musical events and Snake and Cartesian patterns which can now operate simultaneously. Make Noise intends the new René to provide the "maximum amount of artist-controlled musical variation, derived from minimum amount of analogue date input." The original René model was a one-channel, two-dimensional Cartesian sequencer, with limited memory.